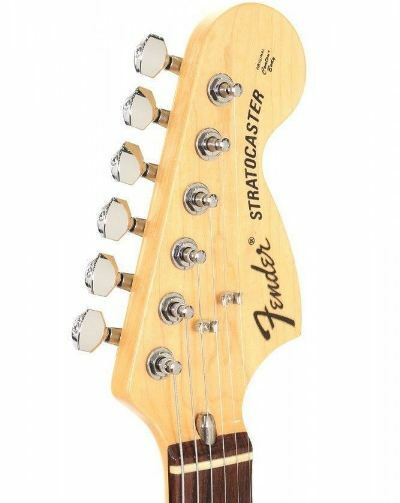 The first 70s styled Japanese strats were the SQ series which were made alongside the JV series. These are covered by 21 Frets so once again I will start with the 1985 models. 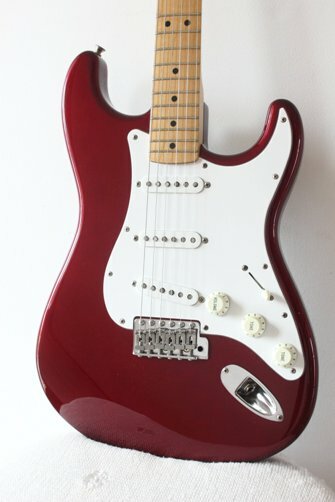 The models can be quite confusing as the designations were reused on different guitars so an ST72-70 made in 1985 is not the same guitar as an ST72-70 made in 1993. It is also less than clear what models were the continuation of previous models with just a change of designation. I will try and clear some of this up. As always all the models look similar and you can only tell them apart by the wood and the pickups or by opening them up and seeing the stamps. It can be seen from the scan above that whilst the plastic was mostly white it was black in some colour combinations. 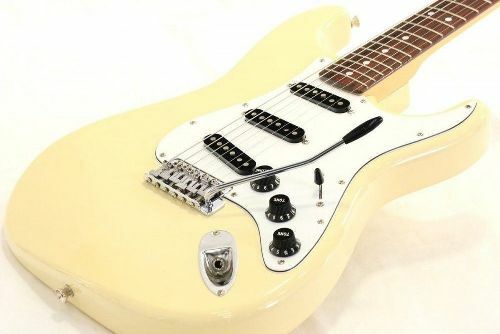 This is a very expensive guitar 125,000 yen in 1987 was about £865 As well as the obvious custom paint job it was made of White Ash with the usual Maple neck and was equiped with 3 USA made Alnico vintage pickups. The block was also USA made diecast. The PRD is just the colour code. These were made for about 2 years from 1987. 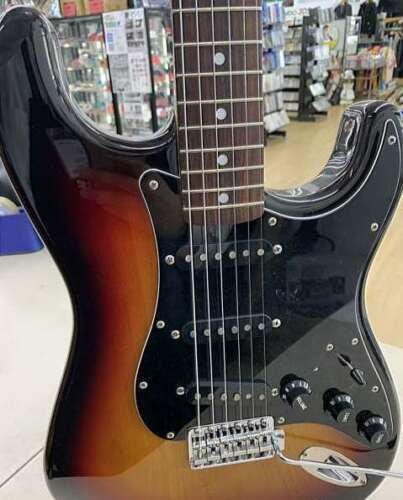 All basic specifications Headstock, Neck, Radius, Frets, scale length, pickguard, schaller F tuners and chrome hardware remain constant throughout the range other specifications are listed as we go along. The colours Vintage White and Yellow white are the same just at different times. These are further redesignations of the 1989 ST72-95DM with identical specifications except they were available in Vintage White and Olympic white and also for a short time a Blue designated DBL. This is a redesignation of the ST72-700SC with identical specifications except basswood only they were like the 95DSC available in Vintage White and Olympic white and also for a short time a Blue designated DBL. In the 1998 catalogue there is only one model the ST72-58US or two if you count the Rosewood or Maple option as two models. They are otherwise identical. From 2002 to 2004 Fender produced an Antigua model. A finish which seems to be either loved or hated. I like it. 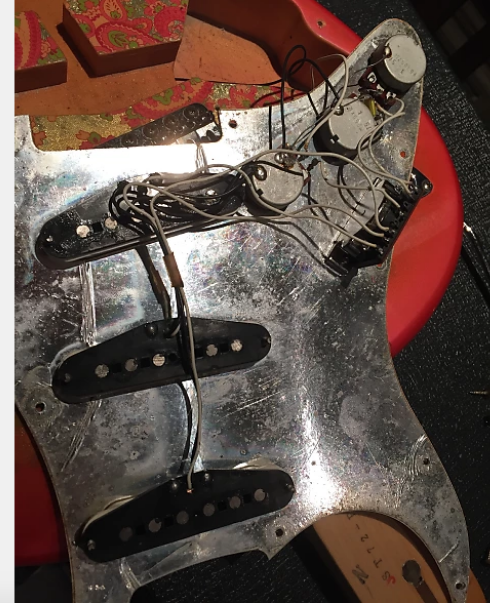 I have some information from Fender which was given to a Strat talk member a few years ago. Antigua front and back looks good? 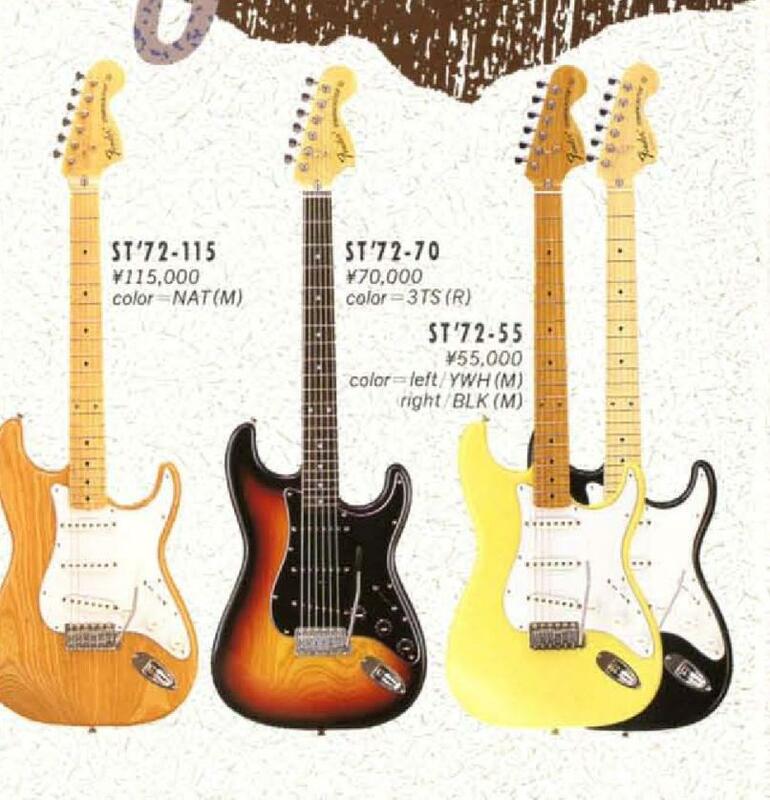 In the 2010 catalogue the only model is the ST72 launch price 71,400 yen. This model continues until at least 2013.